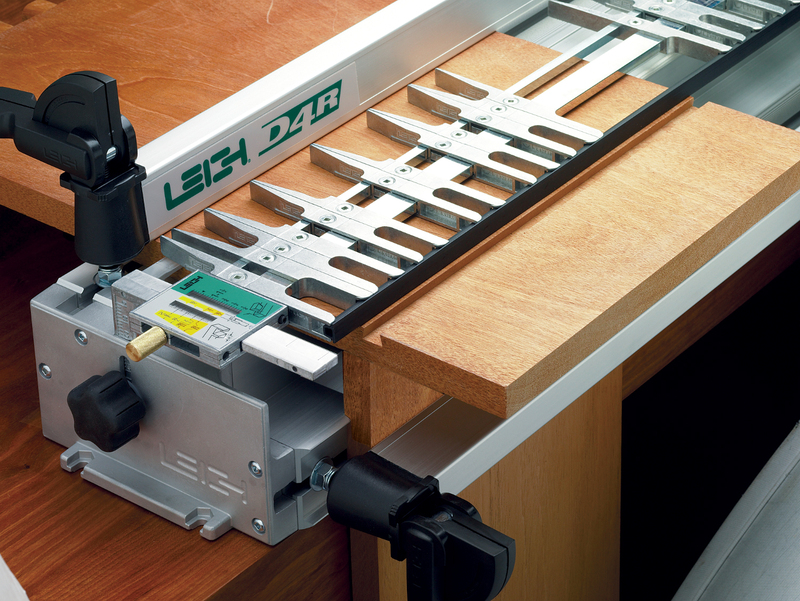 Sliding dovetails are used in many applications where traditional dovetail joinery is not possible, such as shelf to upright joints, breadboard ends and drawer dividers. 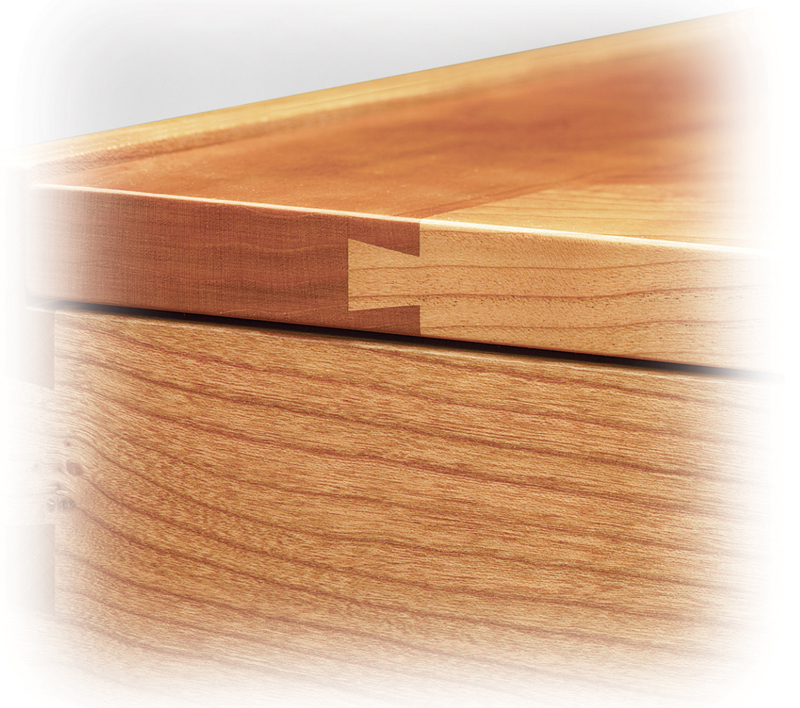 The interlocking strength of the sliding dovetail is maintained and the joint can be visible or stopped. 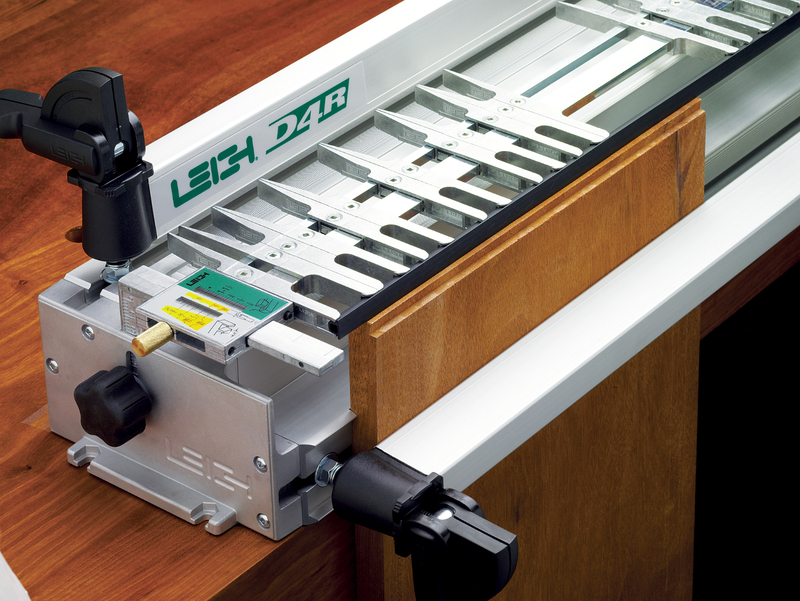 Every Leigh D4R Pro includes a sliding dovetail fence that provides the straight edge required to guide the router. 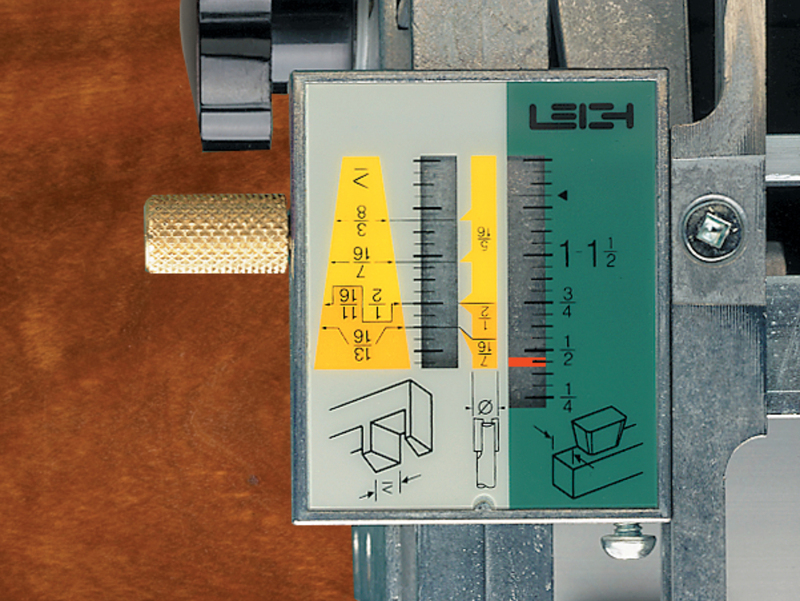 Any bit and guidebush combination can be used to rout perfect sliding dovetails. 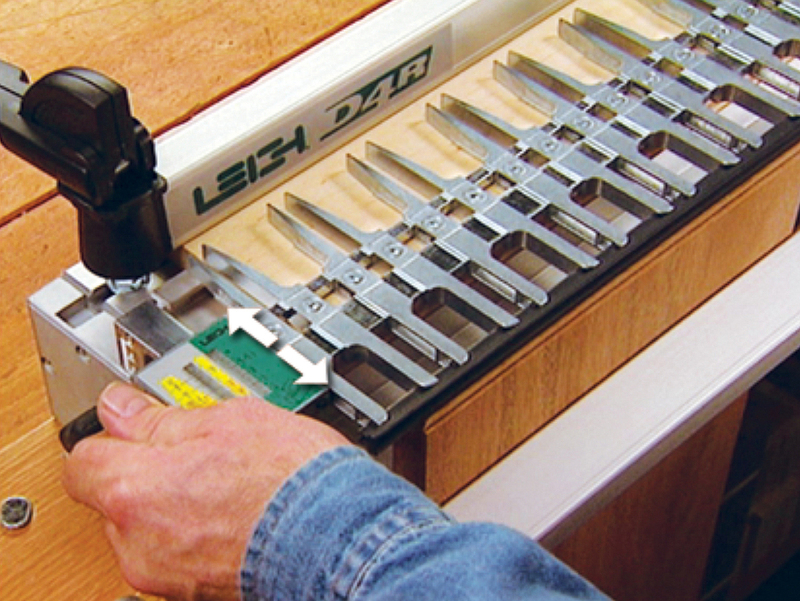 1 Sliding dovetails are routed with the guide finger assembly in the half-blind tail mode. 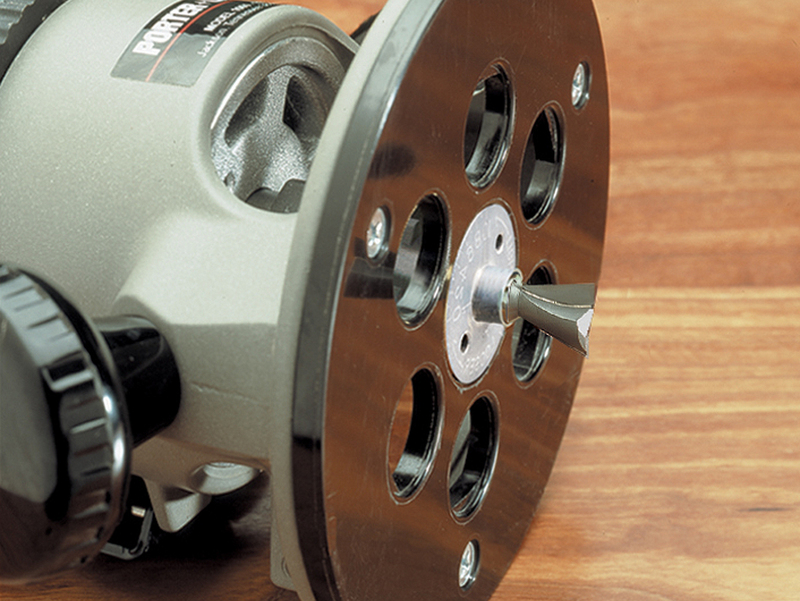 3 With the supplied sliding dovetail fence inserted in the finger assembly and the socket board clamped in position, rout a socket (slot) up to 24" [610mm] wide. 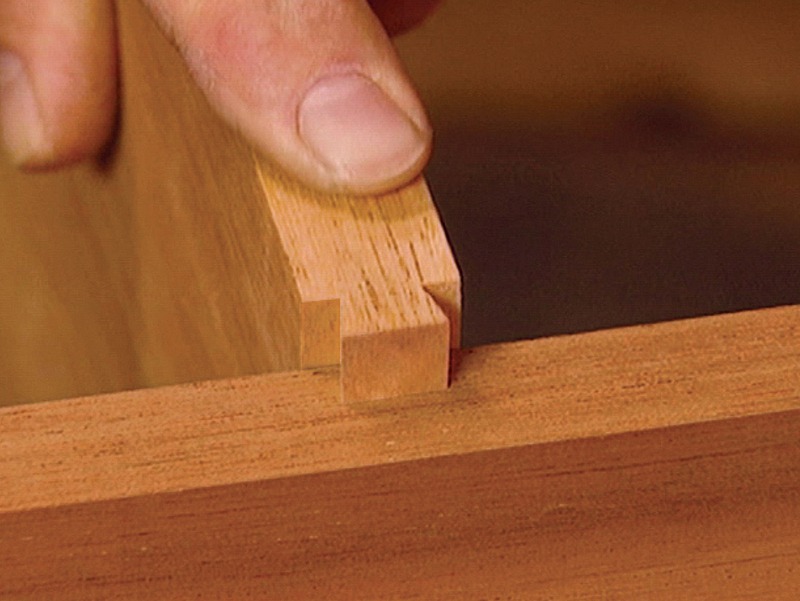 Stopped sliding dovetails are also very easy. 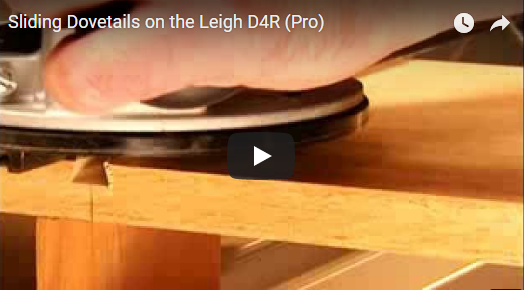 4 Now clamp the tailboard vertically, flush under the finger assembly. Rout one side, rotate the board and rout the other side. 5 Slide the tail board into the socket board to check the joint fit. 6 To adjust the fit of the tail in the socket, move the finger assembly toward you to increase the size of the tail, or move it it away from you to make it smaller.